Entries must be for work conducted between January 1, 2018, and December 31, 2018. Some of the work must have occurred during this period. Complete programs, or programs near the end of completion, when evaluation against initial objectives can be measured, tend to have a better chance of winning. All students currently enrolled in a college or university are invited to enter. All entries must be registered online to be considered. Bateman entries are acceptable, but other entries are welcome! Please note that if you are submitting a Bateman entry, it should be clearly noted as such. Student projects may also be submitted by a teacher or advisor, or students may also submit an entry as a group. Early Bird Deadline: Wednesday, March 20, 2019 by 11:59 p.m. ET. Final Deadline: Monday, April 1, 2019 by 11:59 p.m. ET. All entries and fees must be received no later than this date to be considered! NEW! First-Time Entry Discount: 20% off total cost of regular rates. For companies that have never entered the InSpire Awards OR have not entered in the past five (5) years. First-Time Entry rate is for NCPRSA members only. Payment may be made in full by credit card (Visa, MasterCard or American Express only) online during the online registration process. Please do not register until you are certain that you will be able to submit and pay for your entry. For your convenience, only electronic submissions will be accepted – no binders or hard copies. Entries will be sent to the Blue Ridge (VA) Chapter of the Public Relations Society of America. They will return the entries with the judges’ comments to NCPRSA. 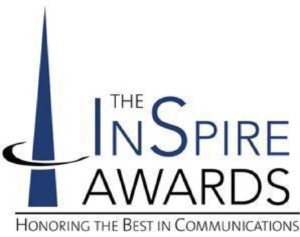 NCPRSA will notify those registrants who had winning entries, but the exact awards will not be announced until the InSpire Awards Gala. If you have any questions, contact Sarah Hattman at sarah.hattman@gmail.com.